Lasting impressions are a recurring connection to all the journeys that were explored in this heavy-handed episode. 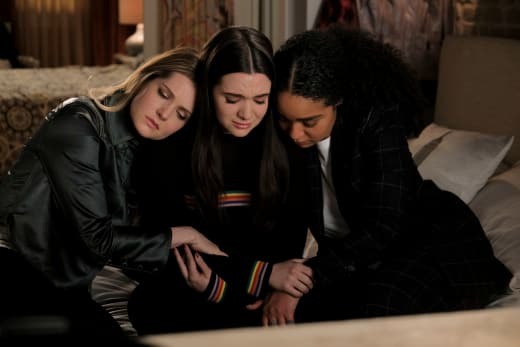 Jane's arc was definitely the one that leaves its mark on her going forward, while Kat and Sutton learned lessons from their issues, but it was a bit more job focused. Still, the big picture was very much at play with everyone involved, and all three of them are looking forward to trying to figure out where to go from here. 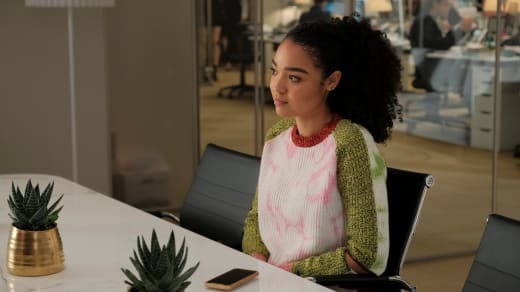 During The Bold Type Season 2 Episode 8, Kat got offered a sponsorship through Cleo that ended up more of a mess than anything else. Jane had a pregnancy scare that turned into a bigger conversation about her future, which caused a rift between Ben and her. Meanwhile, Sutton handled things without Oliver around to surprising results. Overall, this episode held up in the way that it was truly structured for an issue that is wrapped up in one episode aspect. Jane's story, as usual, is the only one that has its long-lasting portions but her journey so far was halted at just the right time. At this point in her life, listening to her brother talks about their mother is all she needed to move forward. As for Sutton and Kat, their issues were more contained but they still left that little sign that more is coming. Sutton figured out a way to solve things and was reminded once again of how she is valued by Oliver. Kat got out of the complicated sponsorship, but she also took from that a lesson about not letting that stop her from supporting a company she can really stand behind. 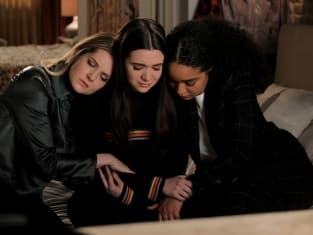 Taking a breather from Kat and Adena trying to figure out their relationship issues is a nice addition to this episode. As amazing as those two are together, right now the angst between them is just a little bit too real. Now that Kat and Adena are on their open relationship kick, exploring Kat's side of things is a little stranger. 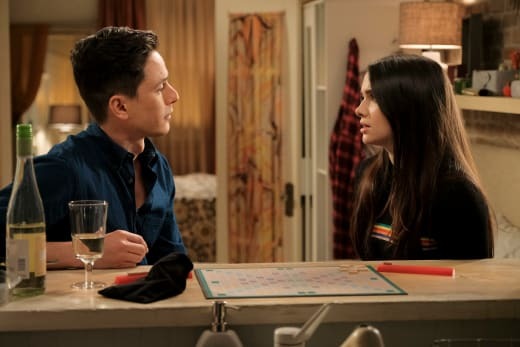 As mentioned during The Bold Type Season 2 Episode 7, Kat and Adena will figure everything out in a way that sees them fully back together again. 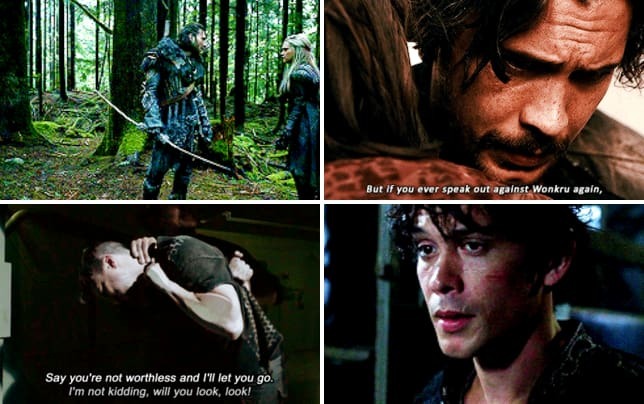 But that doesn't mean that along the way things won't get difficult for them and the viewers. 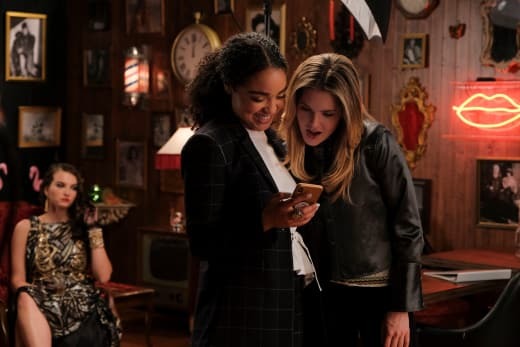 But Kat was more focused on her job this time around, with Cleo getting her involved in a shady deal that makes it hard to figure out her specific purpose within the show. Kat choosing to sign that contract so quickly was a huge, glaring mistake. No one should ever sign something without reading it all over or at least giving it to a lawyer. Richard is clearly there for that specific reason, and the fact that Kat didn't even have time to ask him about this said it all. There was such a rush for Kat to join that something suspicious had to be going on. Luckily Ryan clued Kat in, and it was all solved by the end of the episode. This issue was interesting in the way that it brought Kat and Jacqueline together again, with the latter encouraging Kat not to give up on this. Kat is curious about sponsoring something and helping them grow, but it has to be something that she believes in and not just something that reaches out first. She can do the research and approach a company herself, leaving herself more in the know than she was this first time around. Jane's struggle was more of that, especially with the way that things ended. This time around there is nothing that can make everything better in a half hour or so; this is something that will continue to follow Jane moving forward. This is something that affected her relationship with Ben and with her knowledge of what she wants in the future regarding kids. Still, it wasn't right of Ben to not see exactly what Jane needed. He gets into that mindset of a doctor who wants to help the way that he knows how, but he saw that this wasn't what Jane was looking for. These two had one of the most epic DTR moments, with the Postmate guy watching and their delivery still unused after a big accident. And yet, Ben is struggling to understand what his new girlfriend needs from him. He has comforted her before, why is it that when it becomes about her health that he can't fix his approach a little more? Seriously, if Ben doesn't figure out how to find that balance, Jane and his relationship are at stake. Moving on to the more important portion of this, Jane's feelings on motherhood started to be explored more when it felt like she had to think about right now. The question from me is, why did it have to be biological children? Obviously having your children is the first thought that mothers have, but does it have to be? Jane was worried about how she would need to have surgery at some point that would prevent her from carrying her kids, and that got her sufficiently rattled, and yet the option to foster or adopt is still out there. It would have been interesting to have that topic brought up because no one was really speaking on it and it seemed confusing. Jane doesn't need to make this big decision right now, and if down the line she starts wanting to start a family some options aren't limiting her right now. Still, this was a topic also meant to touch on Jane's relationship with her mother and her fading memories. There was nothing more heartbreaking than Jane realizing that she didn't remember her mother the way that she wants to anymore. This was also a wonderful way to take a step back from the issue that came up with her gun control article. That was an arc that shouldn't have been focused on an article, with this motherhood assignment proving that. The whole time Jane was going through this Jacqueline reminded her that what mattered were her feelings. There is no clue what Jane even wrote about because that wasn't what the focus was on. Jane going through this pain was more important, and that was highlighted wonderfully here. Although it does beg the question how many times do Jane's assignments hit too close to home and Jacqueline has to reassure her that this isn't the focus right now. Is there ever any doubt that Sutton continues to kill it? For some reason, there still come those times where Oliver is mad at Sutton and the instinct is to worry about her job. This was a great reminder that The Bold Type isn't that type of show and that Sutton may make mistakes but so does everyone. There is no real worry that one more mistake will risk Sutton's entire job and that it is either always being perfect or nothing at all. Oliver continues to show Sutton that he trusts her and that he is very well aware of her skills. He may come off like a boss that everyone should be worried about, but in a way, he is one of the most stable examples of trust and appreciation for his staff. Permalink: I'm going to sit this one out. He may be angry, but he clearly isn't actually angry. Sutton keeps proving to us and to Oliver that she can handle anything, which only makes everyone appreciate her more. The fact that she managed to recreate that entire bar is incredible, something that was unexpected and yet she handled that with such a calm approach and trust that they would figure it all out without giving up. All of this came full circle with Sutton now knowing that she is heading to Fashion Week. That scene where she finds out is so precious and so deserving, everything has been shifting to this one moment. Sutton deserves this unlike anyone else, and this is her dream coming true because she is a valuable presence at Scarlet. 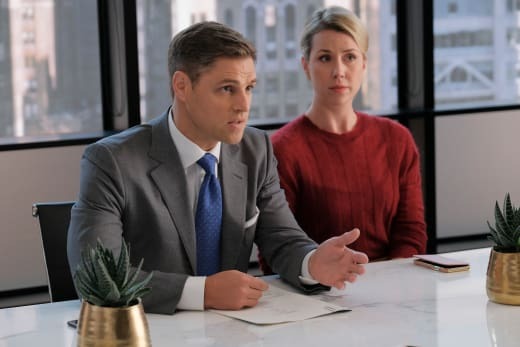 It is exciting to see how Sutton handles this significant moment in her professional career because since The Bold Type Season 1 this was the moment that everyone was preparing for. Ryan appearing to do more than just to serve as a sounding board for Jane was a nice turn of events. Similiar to Alex, Ryan is there, but he isn't meant to overshadow the women. Still, having him assist Kat even for a second was a pleasant surprise. But the mention of more solid storylines for Alex still stands. Why does Ryan appear more than Alex does? Can't he have more scenes written in some capacity? The fact that they had Plan B delivered through Postmate is the real treasure of the episode. This has to be some sort of iconic moment for this show because that whole intro was comedy gold, and just a little too relatable. Music, music, music. It never disappoints, and on a show like this, it is not surprising at all. Still, we need to take a moment out each week to compliment the way that it always works so well. A break from Kat and Adena's relationship troubles was slightly refreshing only because of how anxiety-inducing it can be. And yet, Adina was missed yet again on the general basis that she is amazing. Oliver as well if we're being honest, because even through text his presence was scene-stealing. Cleo's purpose on The Bold Type is still baffling to me. Is she meant to continue to straddle that line of not an actual villain but only bringing about more damage to the other women on the show? It also is clear how often Cleo and Jacqueline go head to head now, perhaps a tease of what is to come for Jacqueline's career? What did you think of the episode? Which story were you most intrigued by this time around? What were you hoping to see more often? What were you hoping to see less often? Where you proud of Kat towards the end? Did you enjoy the slight break from the relationship drama? How mad are you at Ben for reacting the way he did to Jane's news? Where do you see Jane going from here when it comes to her future? How excited were you about Sutton going to Fashion Week? Did you miss Oliver as much as he missed his juicer? And don't forget that you can watch The Bold Type online, right here on TV Fanatic.